On their first recording, this Spanish quartet certainly sounds like a band that’s been playing and recording together for a long time. Perhaps they have been and just remained underground for far too long. The band is two guitarists (Daniel Gonzalez and Vizen Rivas) and bassist Alfonso Romero (all three doubling on synthesizers) and drummer / percussionist Carlos Cabrera. Beyond that, the credits are pretty lean, but I suspect that the seven included tunes all evolved from looser group improvisations, eventually coalescing into compositions, much in the way that bands like Djam Karet create their works. Having two guitars allows the band to focus a bit more on the psychedelic trimmings that make their progressive sound special and somewhat unique, with tasty layerings of melodic arrangements playing off one another as in the two part “Ispra.” The bass frequently gets into the melodic mix as well, at that point leaving the drummer to set the pace and framework alone, though more often they work together in a more conventional and supportive rock arrangement. Echoes of many great bands of the past can occasionally be heard herein, most notably post-Syd pre-DSotM Floyd with a touch of Teutonic classicism like Ash Ra Tempel, Amon Duul and Agitation Free. 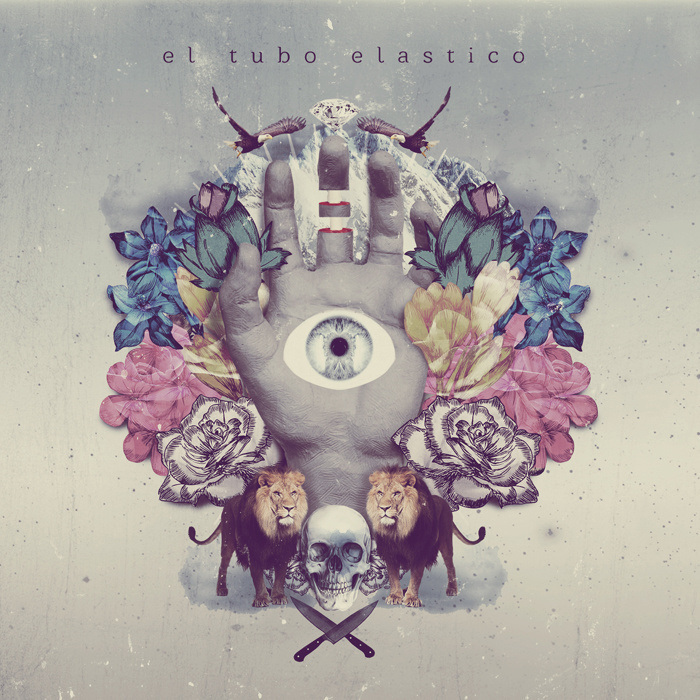 For a band that goes the 100% instrumental route, they have an enduring task to keep their music interesting to the listener while not becoming too self-indulgent, but El Tubo Elástico manages to keep their best foot forward throughout, balancing all of their best tendencies across these seven long tracks. A solid start, and definitely a band I will be looking forward to hearing more from in the future.